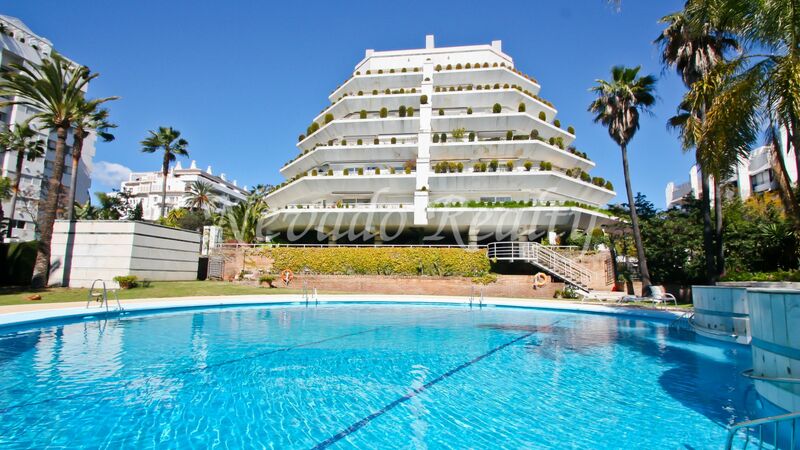 Duplex penthouse for sale in one of the most sought after residential areas of Marbella, the building is located within a beautiful complex called Cipreses del Mar located a step away from the beach, the promenade, sports center, shops, supermarkets, restaurants and all the services; the building has a 24-hour concierge service, video surveillance and a beautiful pool surrounded by plants and vegetation. 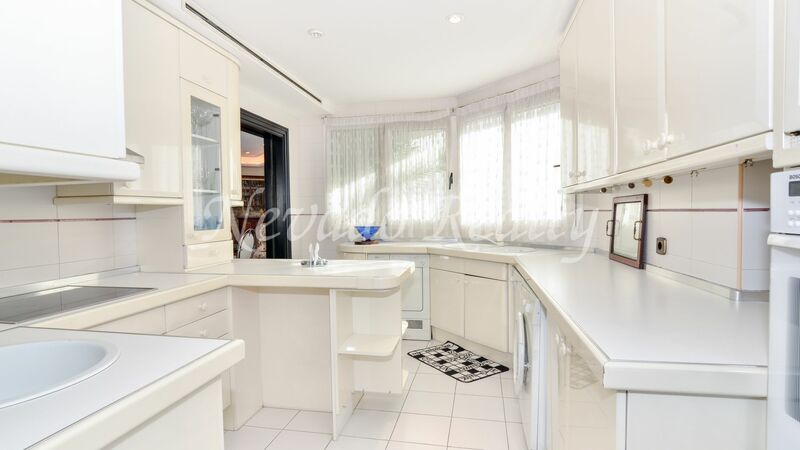 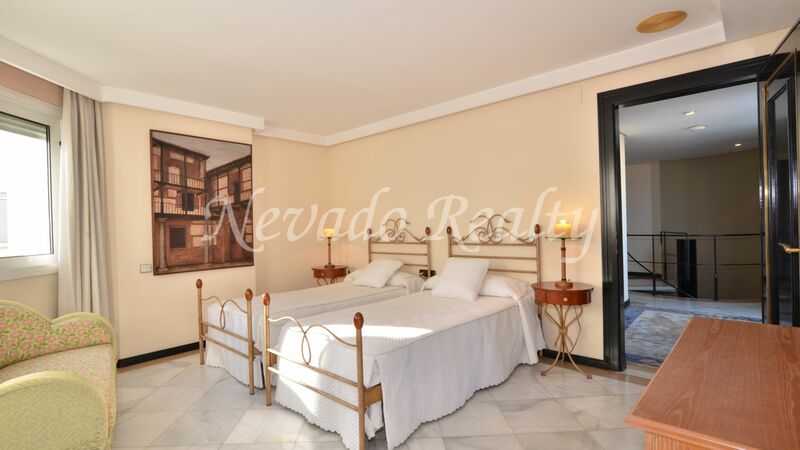 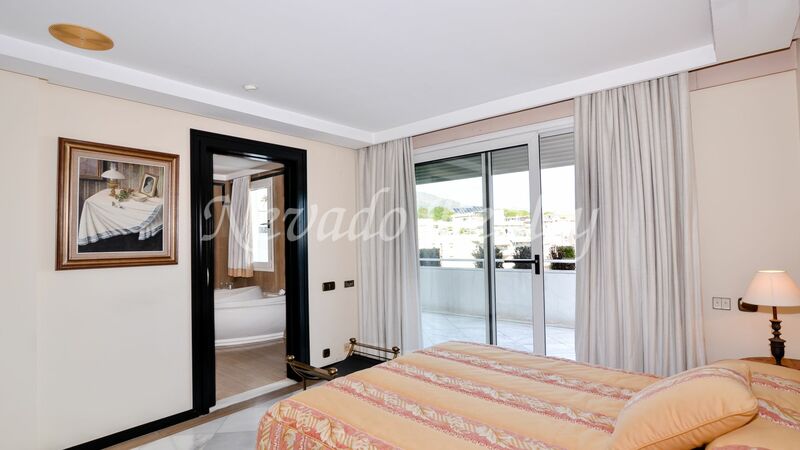 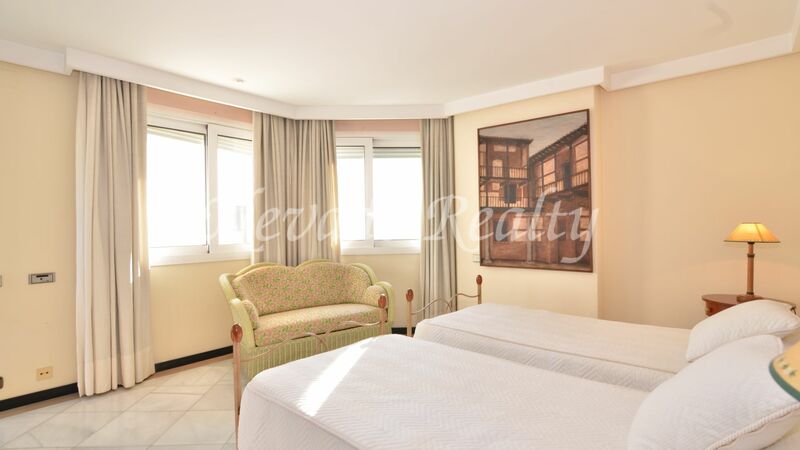 The apartment comprises entrance, living / dining room with fireplace with access to large terrace with lateral views to the sea and the mountains; fully furnished kitchen, guest toilet and bedroom with private bathroom. 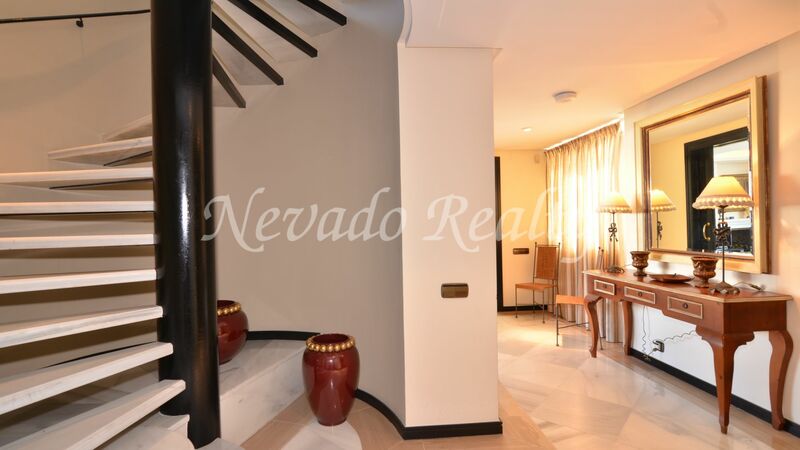 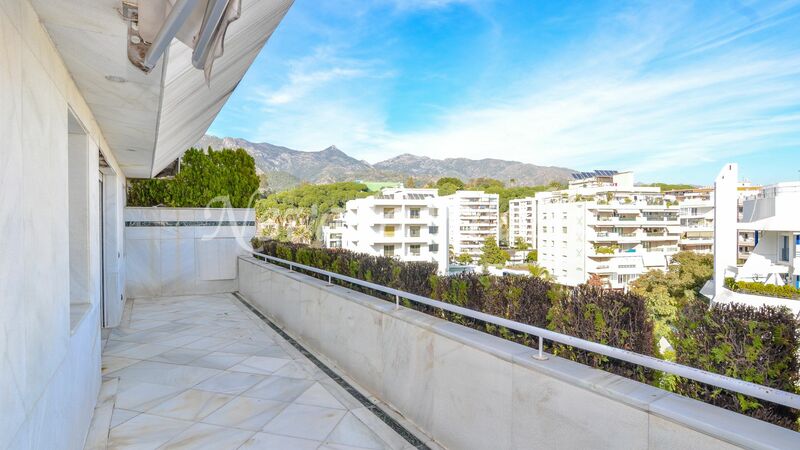 On the upper floor, which is accessed through a beautiful spiral staircase, there are 2 bedrooms with 2 en-suite bathrooms both with access to the upper terrace with magnificent side views to the sea and the mountains. 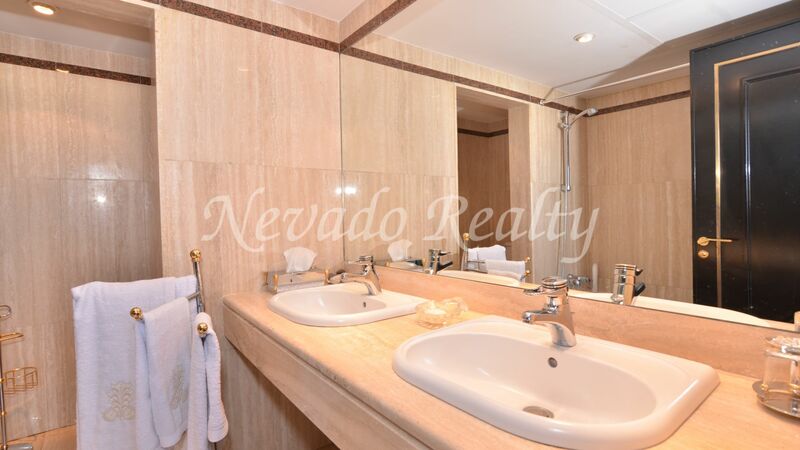 Includes 2 underground private parking spaces plus new hot and cold A / C machine. 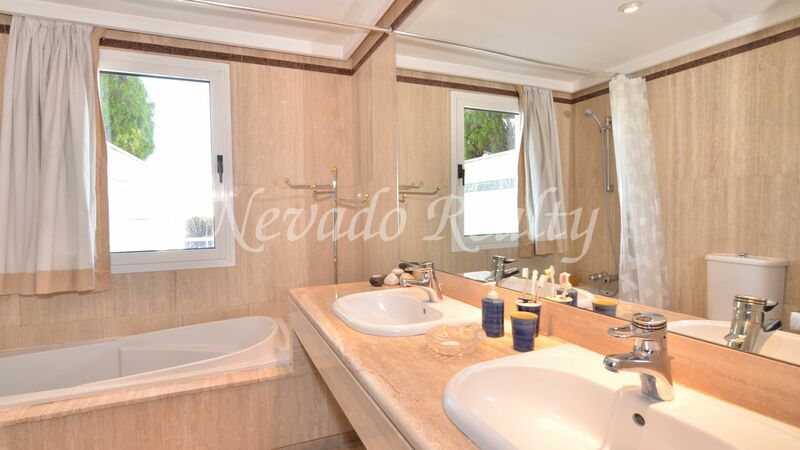 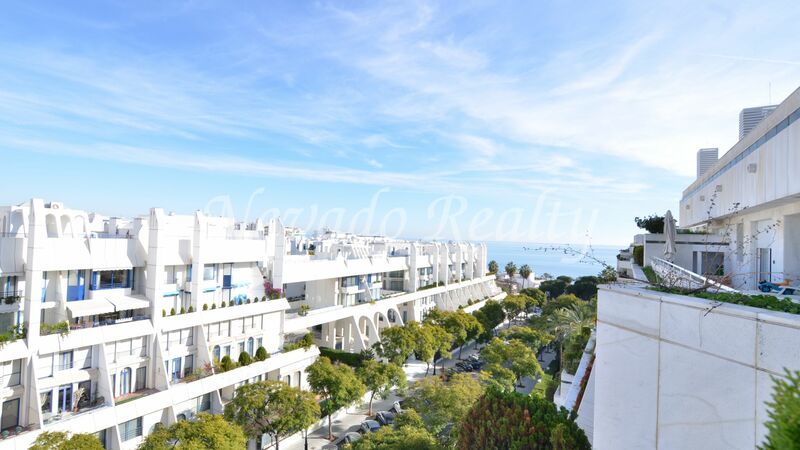 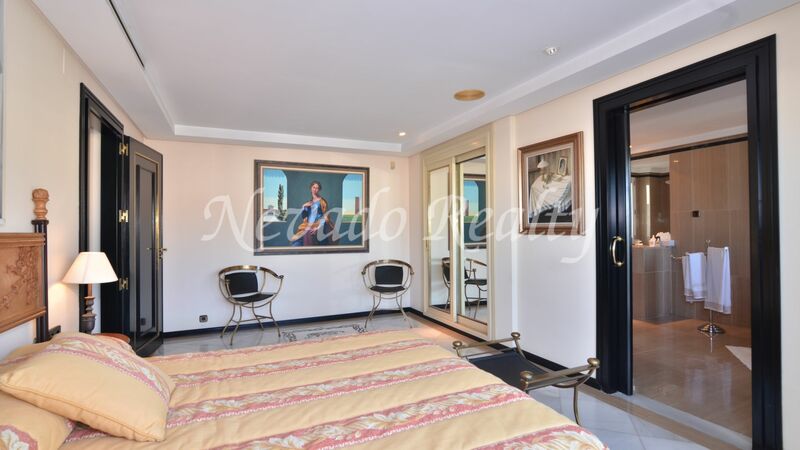 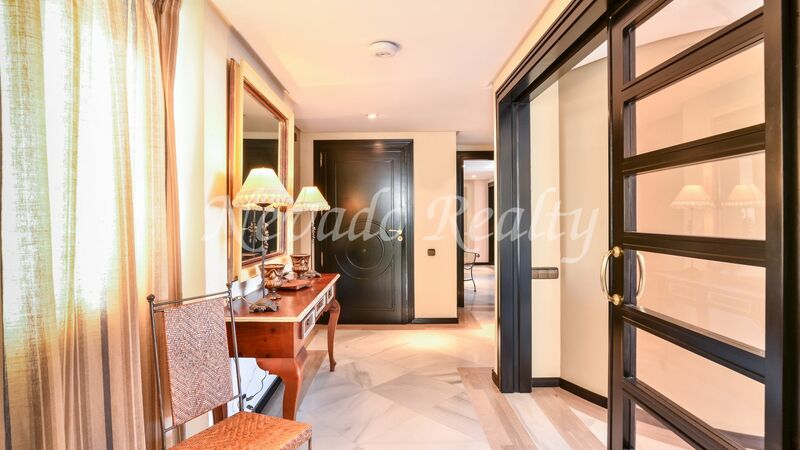 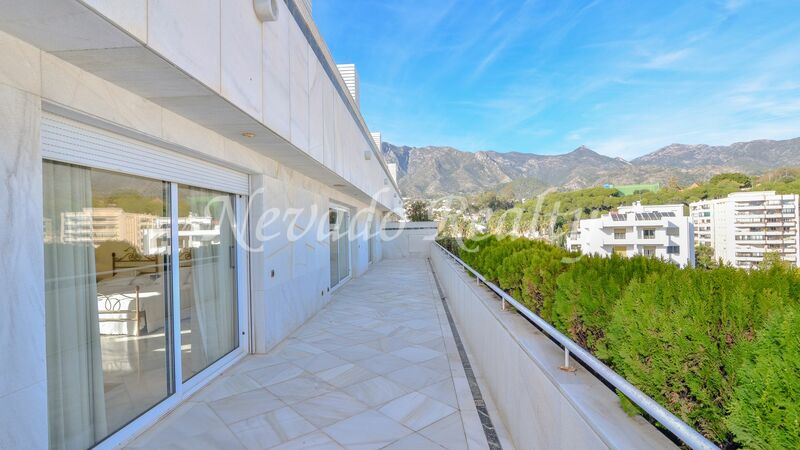 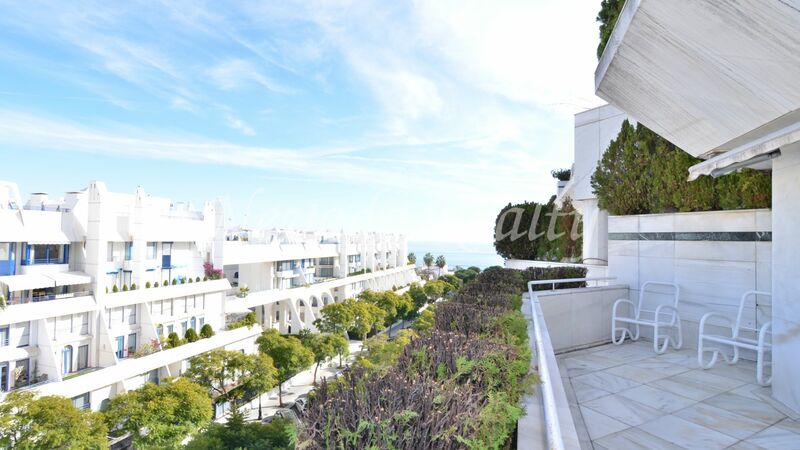 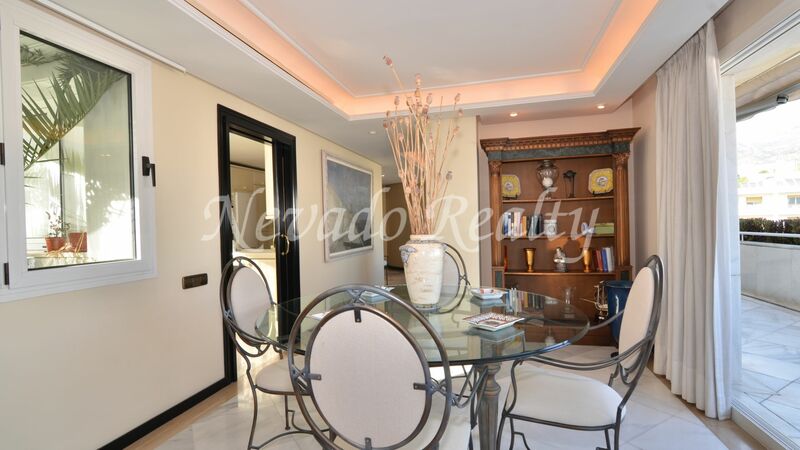 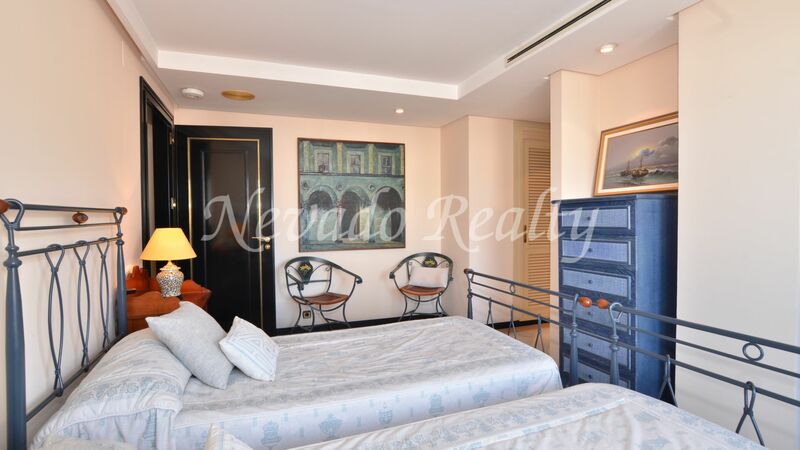 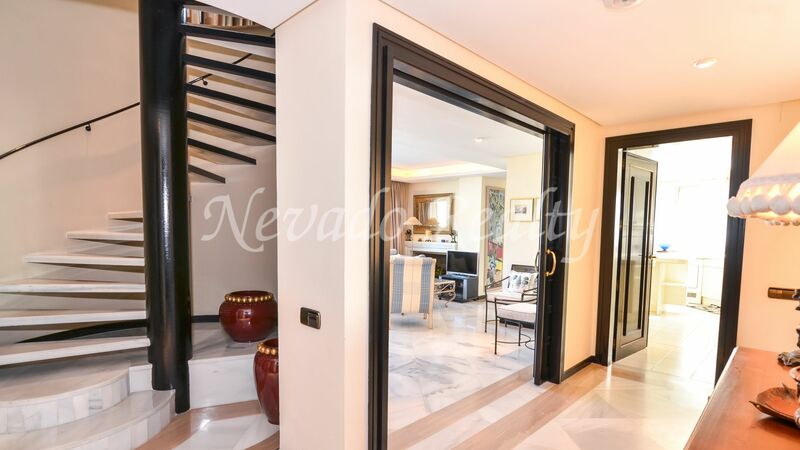 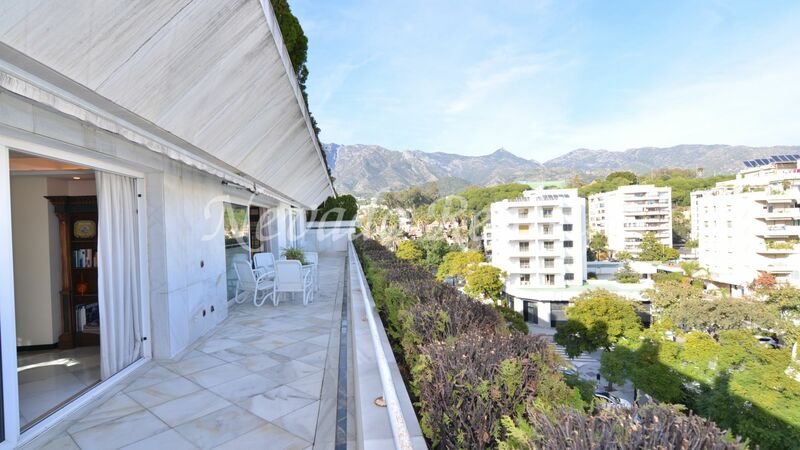 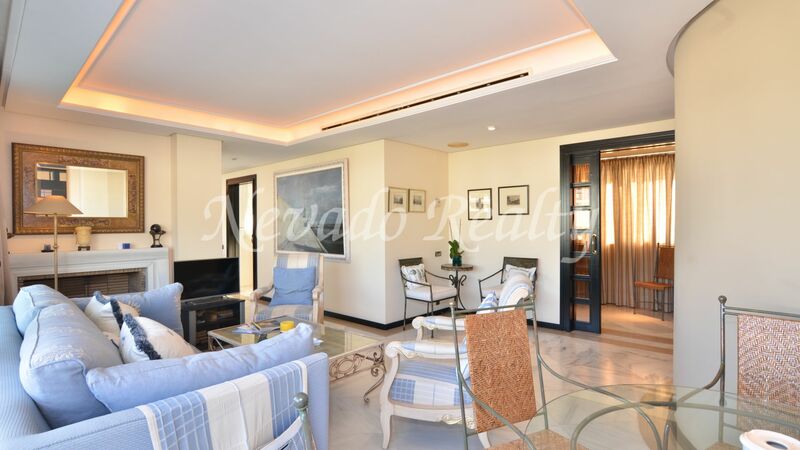 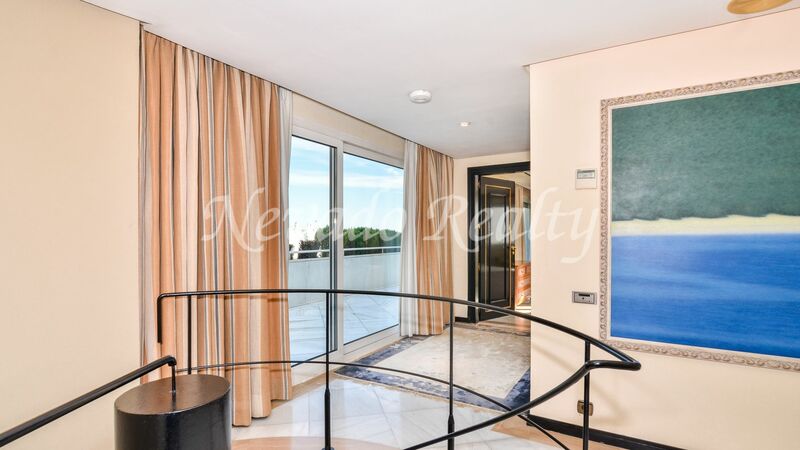 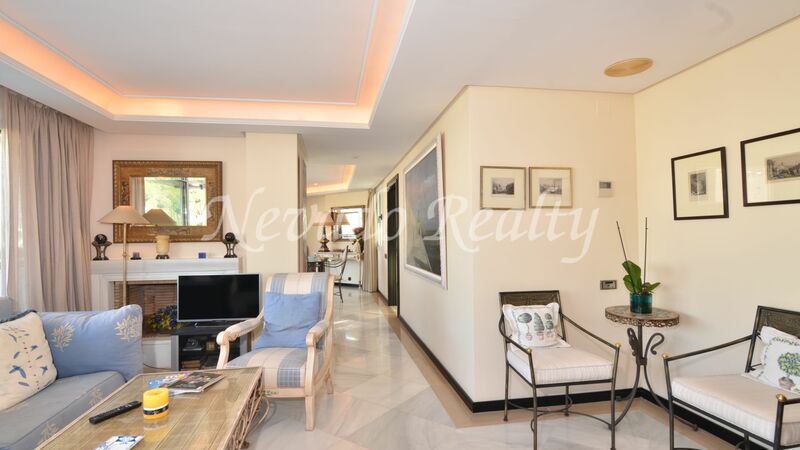 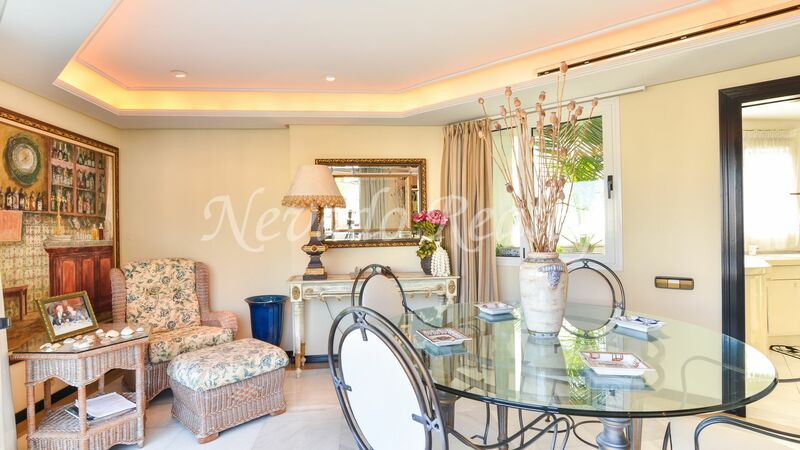 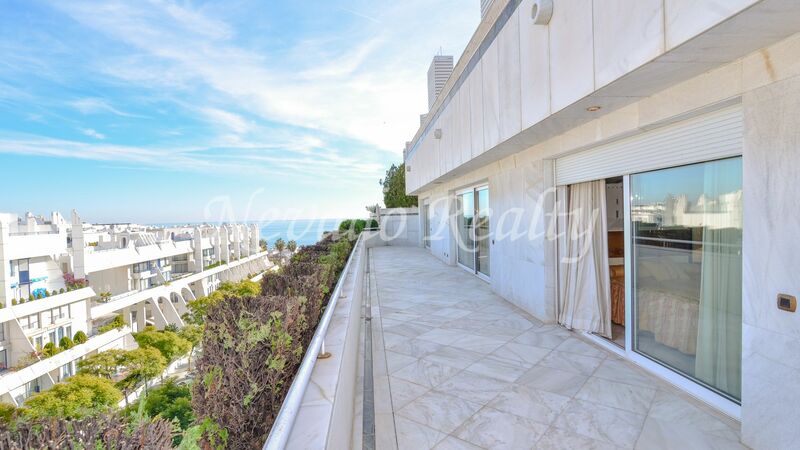 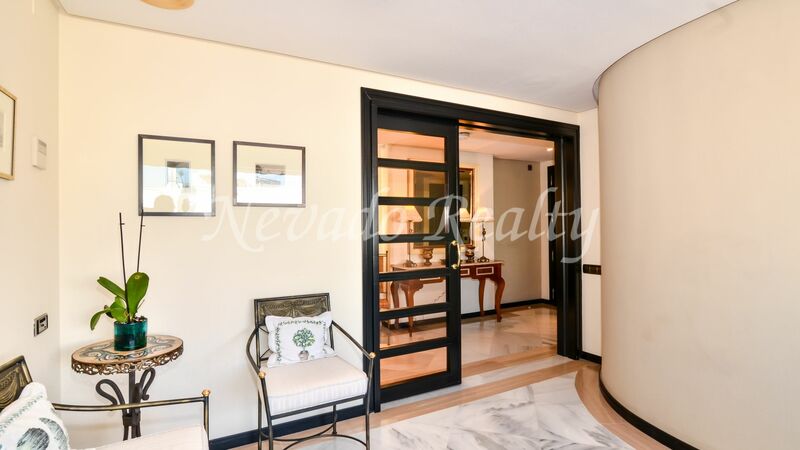 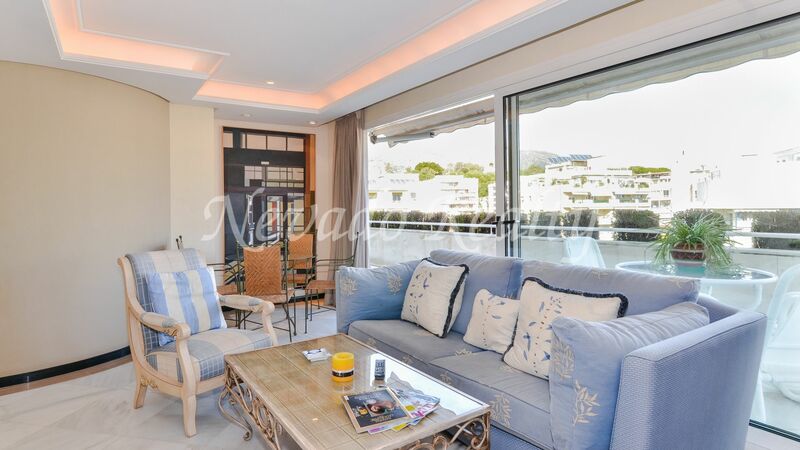 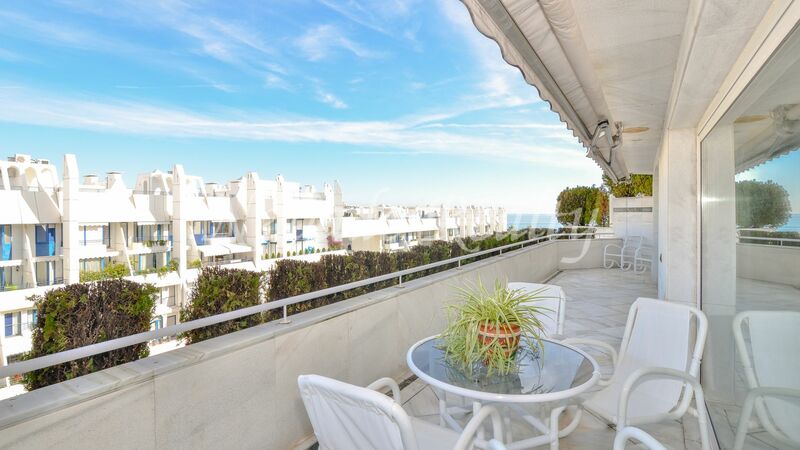 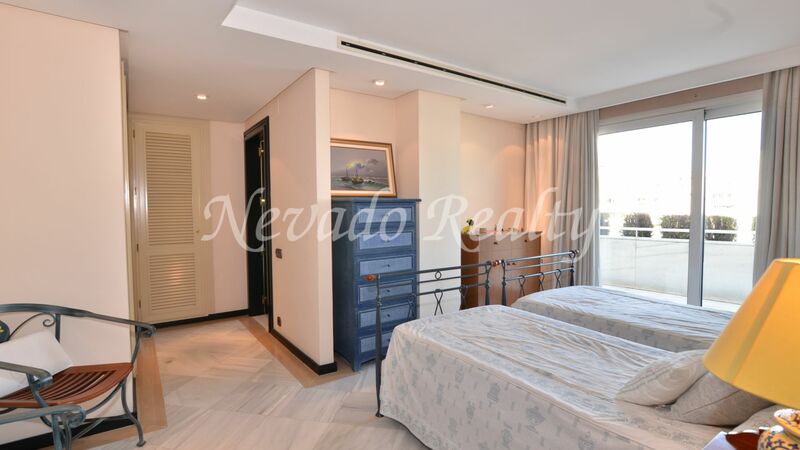 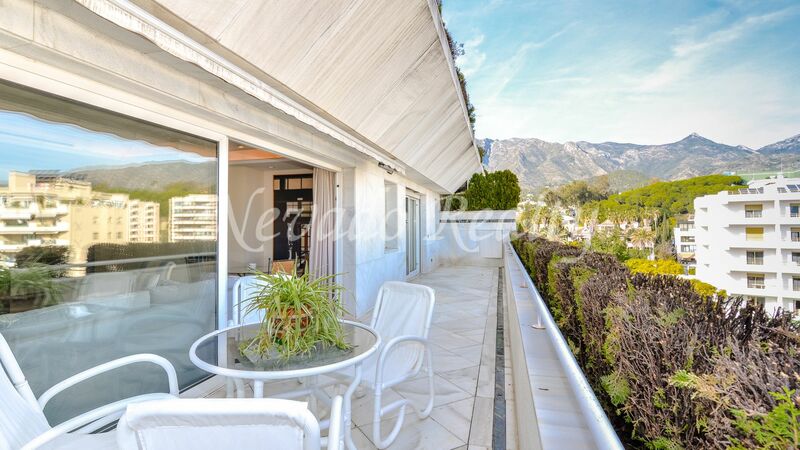 Please send me more information about ref 163-02442P, Duplex Penthouse in Cipreses del Mar, Marbella Or similar properties.